Dubai, United Arab Emirates: Arabian Automobiles Company, the flagship company of the AW Rostamani Group and the exclusive dealer for Infiniti in Dubai, Sharjah and the Northern Emirates, announced the launch of the Infiniti Q50 Red Sport 400. Infiniti’s exciting new halo model the Q50 RED SPORT 400 , offers an exhilarating ride and a great deal of horsepower under the bonnet, all encased within an energetic and modern design. The new 3.0 twin turbo powertrain replaces the 3.7l petrol engine, enhancing the Q50 and providing powerful low and high output variants. 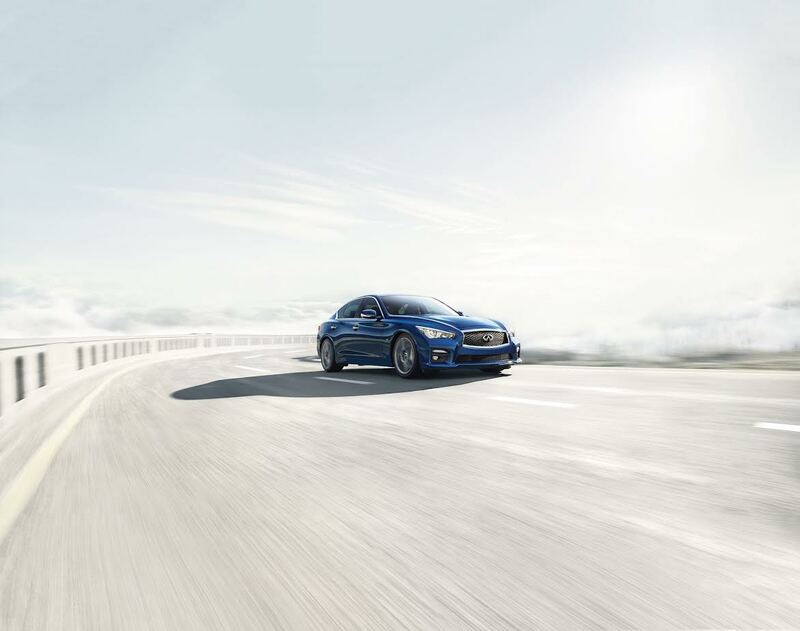 This automobile is one of the top engine performers ever produced by Infiniti, with elite performance standards which represent an expansion on Infiniti’s powertrain line-up. The vehicle’s unique offering includes a new S Badge, DAS 2.0, Rack EPS, digital suspension, and a fresh body colour offering. The Infiniti Q50 Red Sport 400 has an additional new V6 petrol twin turbo powertrain, replacing a 3.7 petrol engine with 3.0 turbo high output and low output models. The high output provides high 298 kilowatts and 400 HP output, 406 PS torque at 6400 rpm and 475 Nm at 1600 to 5200 rpm. The Das New Generation 2.0 (Das), which features only on sport grade, has a customisable sport mode that can be fine-tuned to the user’s needs. A smooth ride is guaranteed by an advanced and dynamic digital suspension, which monitors the vehicle’s body roll, pitch and bounce rate, with shock absorbers adjusting accordingly to maintain a flat, stable and controlled ride. Das also provides a high level of security by reducing steering and floor vibration, whilst adding driver feel through agile handling and flat ride. A new rack-EPS has a 3.0 turbo and 300 HP premium offering better control and predictability, which offers a secure driving experience due to increased linearity of yaw rate and less steering effort. Acceleration is the same or better as HEV, with a luggage volume of 500l, a no idle stop and 19’’alloy wheels. The Q50 RED SPORT 400 is now available at all Infiniti Centers throughout Dubai, Sharjah and the Northern Emirates. Those wishing to test drive the car are advised to visit their nearest Infiniti Center or call 800-Infiniti for more information.